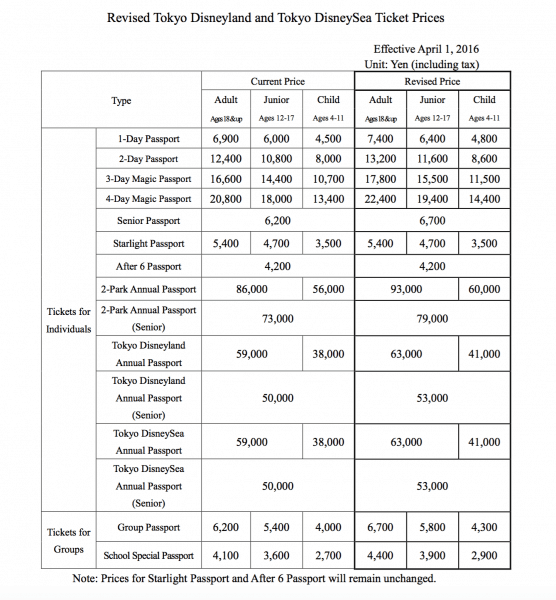 Beginning April 1, 2016 park tickets at Tokyo Disney Resort are increasing. 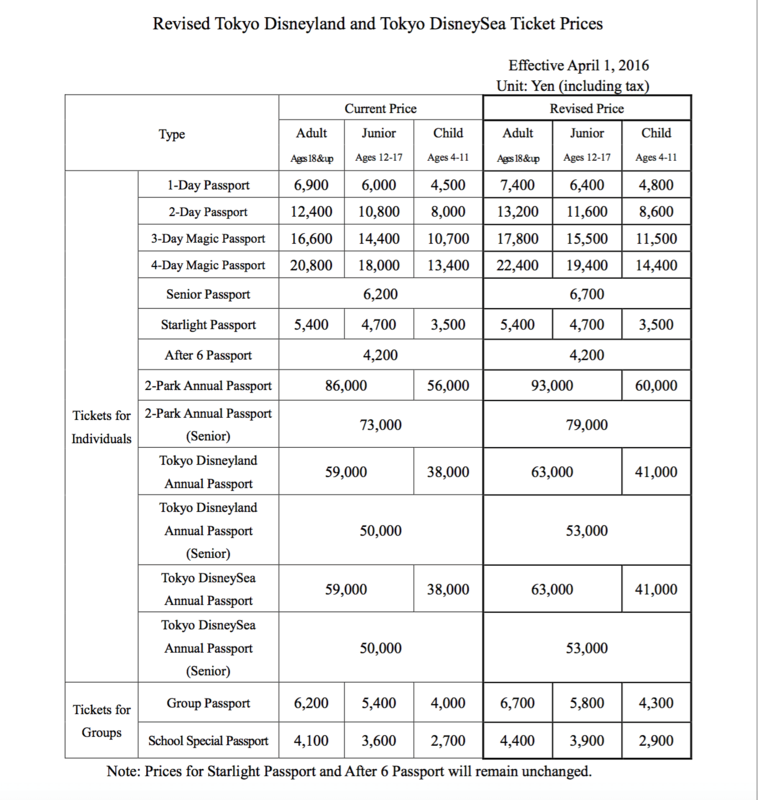 Here’s a few increases based on an adult ticket. All ticket information is available on the Oriental Land Company website. 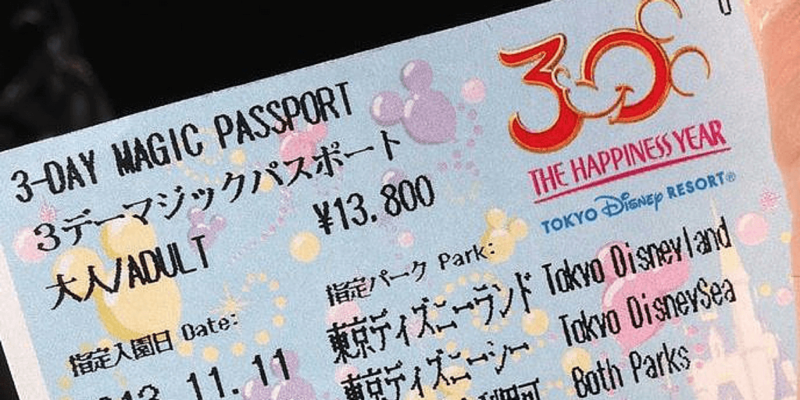 Prices for both the Starlight and After 6 Passport remain unchanged at ¥5400 and ¥4200 respectively. Tickets for dates after April 1, 2016 need to be purchased before that date to receive the current pricing. See full chart below. Visit our Park Tickets Guide for further information on purchasing your park tickets. found at Tokyo Disney Resort®. Thanks for the tip. I saved myself a few bucks by buying our April 17 tickets in advance. I was wondering do you have to use your tickets on exact days in a row such on June 1, 2, 3 or can you skip around and go June 1st then go June 4th then go June 6th?